As a 1978 University of West Florida graduate with a BS in management, Jud received his commission as a US Naval Officer in September of 1979. During his tenure as a Navy Supply Corps Officer he served as independent duty supply officer on board the reserve destroyer USS Fiske (DD842) and salvage rescue ship USS Edenton (ATS1), where he received the Navy Commendation Medal, and was the Assistant Supply Officer at NAS Whiting Field. He left the naval service in 1985, and began his career as Purchasing Manager for the Santa Rosa County School Board during the summer of 1986. He received the designation of Certified Professional Public Buyer (CPPB) in 1996, Certified Public Purchasing Officer (CPPO) in 1997 and went on in later years to earn the designations of Florida Certified Purchasing Manager (FCPM), Florida Certified Contract Manager (FCCM) and Florida Certified Negotiator (FCN). In 2001 he was given the additional responsibility as contract administrator for the district's food service and custodial operations, and in 2008 took on the transportation department. Jud is a member of the NIGP The Institute for Public Procurement(NIGP), School Nutrition Association (SNA), Florida Association of Public Purchasing Officers (FAPPO), Florida School Nutrition Association (FSNA) and Florida Association for Pupil Transportation (FAPT). Jud resides in Milton, Florida with his wife, Betsy. They have 3 grown children, sons Charlie and Cory, daughter Isabella, and granddaughters Rachel and Faith. Cindy was first employed with the School District with King Middle School. In the year 2000, she joined the Purchasing Department as a Secretary. As an accounting graduate from the University of West Florida, Cindy accepted the job as an Accountant/Manager in our Property Control Department. 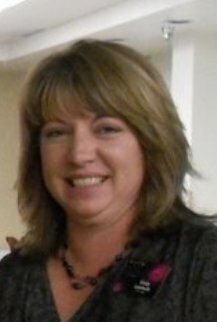 In 2014, Cindy promoted to the School District's Purchasing Agent; 2016 Purchasing Manager. She manages Purchasing, Surplus, Central Receiving and Property Control Departments. She received her designation of Certified Professional Public Buyer (CPPB) in 2015. In 2016, Cindy became certified as a Florida School Business Offfical (CFSBO); a certification earned with the Florida Association of School Business Officials (FASBO). and NIGP The Institute for Public Procurement. 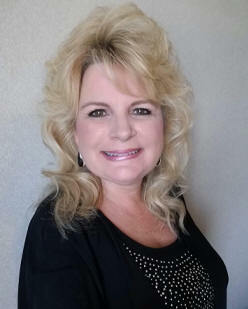 Cindy has contributed to her profession by currently serving as President for Central Gulf Coast Chapter of NIGP as well as the Director of Purchasing Management board member for Florida Association of School Business Officials (FASBO). Travis was born and raised in Colorado until he joined the U. S. Marine Corps in June 1990. During his military career he served in various billets within the Munitions, Supply and Logistics fields. In September 2016 he retired from active service after 26+ years and decided to call Navarre, Florida home. He began his second career with the Santa Rosa County School District in November 2016. Travis received his designation of Certified Professional Public Buyer June 2018. Travis was awarded "2018 Buyer of the Year" by the Central Gulf Coast Chapter of NIGP. He is also the receipient for the 2018 Educational Support Employee of the Year for the School District's Administrative Support Complex. Travis is an active member of the Central Gulf Coast Chapter of NIGP, National Associaiton of Purchasing Card Professionals, and the NIGP The Institute for Public Procurement. Travis has contributed to his profession by currently serving as the Treasurer and Scholarship Committee Chair for CGCC. Bryan first worked with the School District as a student worker in Maintenance in 2005. In the year 2013, he joined the Maintenance Department as a Carpenter II. During his first year of working in the department, he was nominated for employee of the year. After receiving his Bachelor’s Degree in Accounting with minor in management from the University of West Florida, he accepted the job as a Purchasing Agent for our Purchasing Department. Bryan is an active member of the Central Gulf Coast Chapter of NIGP, National Associaiton of Purchasing Card Professionals , Florida Association of Public Procurement Officials, Inc. and the NIGP The Institute for Public Procurement. Renee Paterna was born and raised in Pensacola, Florida. She lived in Pensacola most of her life and then moved to Milton in 1991 where she still lives today. She knew Milton was a great place to live, raise her sons and send them to school. Renee started with the District by substituting in the schools and then became full time employed with the Santa Rosa County School Board in 2000 at Bagdad Elementary as Data Clerical. In 2001 Bagdad Elementary School selected her as the Non-Instructional Employee of the Year. After 10 years working at the school she made a move to the Purchasing Department as the Secretary to Jud Crane, Director of Purchasing and Contract Administration. After working in the department five years, she was nominated in 2016 as the School Related Employee of the Year for the Administrative Complex.